The sixth installment of “Hazel’s Diary” came out in the Kansas City Star Sunday paper this morning! This month’s block is called “Best. Christmas. Ever.” because that’s what Hazel wrote in her diary about Christmas, 1952. 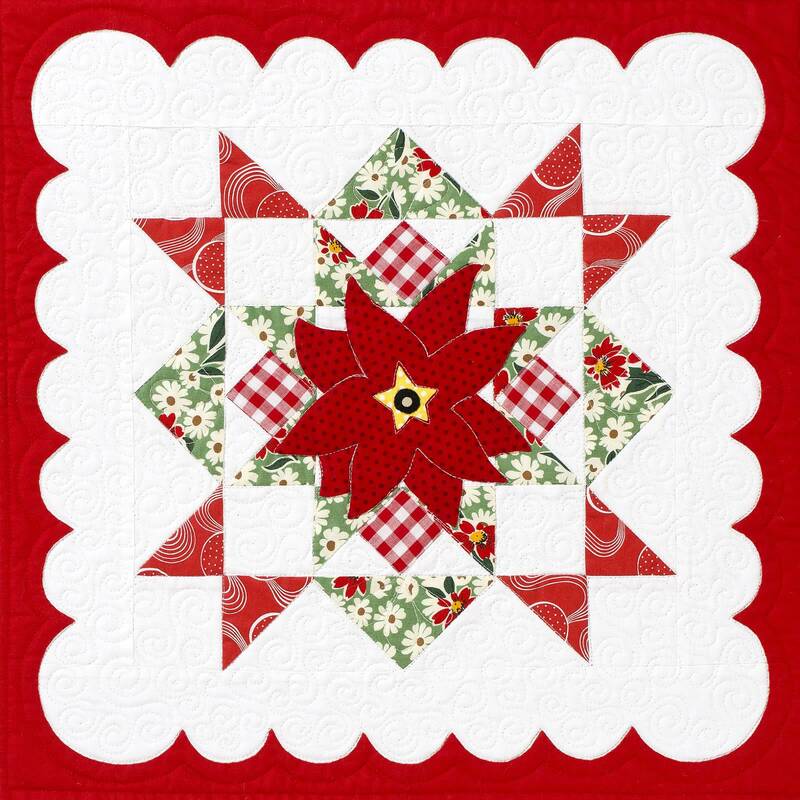 This block is based on the traditional block called “Christmas Star,” which I thought was appropriate for this month’s story, and I added poinsettia applique to it. I also made the block in red and green, very traditional Christmas colors. You can read this month’s story and get the supply list and cutting instructions online HERE. For complete assembly instructions and applique templates, you can pick up the June 21st Kansas City Star Sunday paper and check out the House & Home section, or download a PDF file for this month’s installment HERE. If you need the PDF file, and don’t wish to go through Etsy, please contact me to purchase it using an alternate method (contact me HERE). As always, if you are looking for previous month’s blocks or the template and tutorial for the scalloped red frame, check out the links in the sidebar at the right.